THANK YOU! We Reached 20,000 Members On Telegram. We reached an important milestone of 20,000 members using Quanta’s official Telegram channel. We would like to take a moment to thank everyone who has followed us on Telegram. Since the first day of our channel, the number of followers has impressively increased from a few members to a nation of fans. During this period, Quanta has made key achievements including Quanta Official Launch, Quanta World Tour series, and QNTU to be listed on Lykke. At the end of this month, Bit-Z, a Hong Kong based cryptocurrency exchange, will also list QNTU. Our journey so far has been an amazing ride and you all are a part of this story. 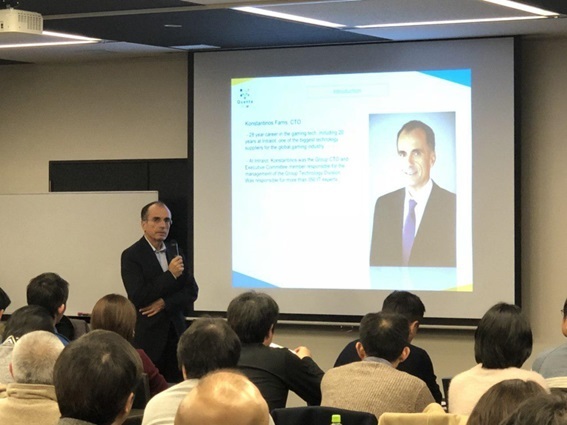 In the future, Quanta will continue the World Tour series around 30 countries and is looking forward to creating new great milestones in Quanta’s development. We hope to continue receiving your support for our upcoming projects. We will keep posting Quanta updates in this channel. Once again, thank you for your continued support and have a nice day!